These are so cool! 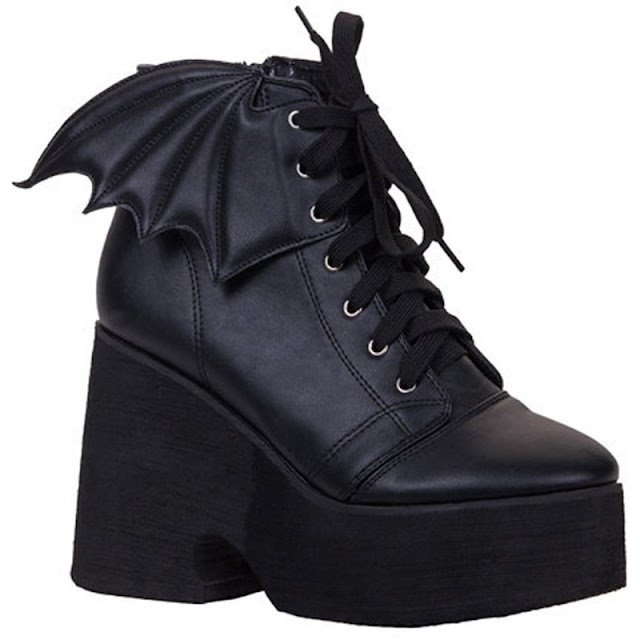 You are going to love these bat wing shoes from Iron Fist on Amazon. These are like a more sinister version of Hermes. Take a peek! I can already feel the cold breeze of fall approaching. Wearing these women's Iron Fist bat wing black boots throughout fall and winter will keep your feet nice and warm. You can still wear your stylish and dreary garb in sleet and snow! With all these weddings coming up, I am in need of new heels! These women's Iron Fist black platform pumps are absolutely stunning. I love how big the bat wings are. These would also give you a quite a bit more height! 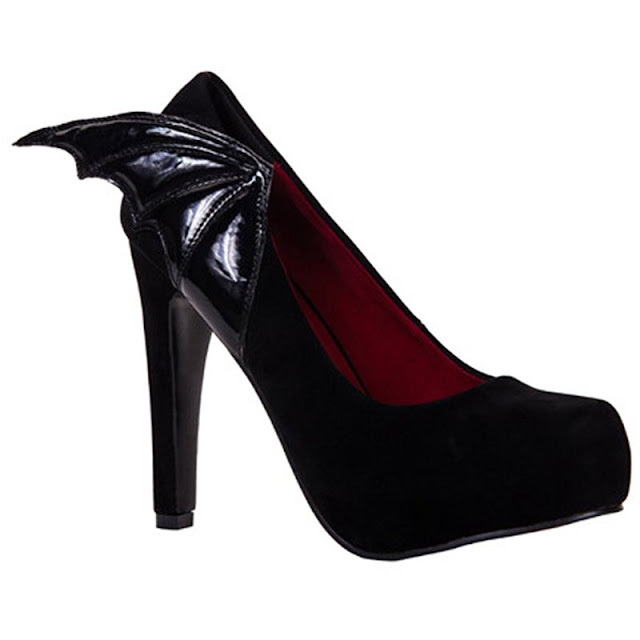 These bat wing shoes from Iron Fist on Amazon are so tempting. What do you think? Make sure to comment below and let me know!